ГБУЗ «Первый Хоспис им. Веры Миллионщиковой», г.Москва, sergkurenkov@mail.ru. Burnout is a widespread psychological problem, which is sometimes called a disease of modern society, requiring urgent and targeted efforts to prevent and minimize the consequences .This term has been widely used since the 1970s to refer to the effects of chronic stress in the workplace, characteristic mainly for members of professions related to the health and social work system. These are professions with high intensity of so-called emotional work, in which the employee may experience emotional overload due to increased emotional involvement in interaction with clients . The key components of burnout syndrome (BS) are emotional exhaustion, depersonalization (alienation, weakening of social ties) and decrease in satisfaction from the results of one’s own activity. MBI test developed by K. Maslach and S. Jackson , which is currently the most common diagnostic procedure, is based on the measurement of these three components.Other psychological and somatic consequences of BS may include memory and attention disturbances, headache, cardiovascular diseases, pathology of the musculoskeletal system, exacerbation of chronic diseases, increased anxiety, personality changes, etc. Medical workers belong to one of professional groups for which BS symptoms are most characteristic.They regularly encounter such stressors as direct observation of the suffering of others, psychological pressure from patients and their relatives, the risk of making medical mistakes, a busy schedule, etc.At the same time, the professional roles of medical workers require demonstration of care and empathy towards patients as well as control over emotions.The discord between role requirements and objective working conditions is a prerequisite for BS formation. Studies also show differences in BS manifestation between various professional groups of medical workers.The project under the direction of T. Shanafelt  showed that BS symptoms are most pronounced in emergency doctors, therapists, neurologists and specialists in the field of family medicine. BS symptoms are least pronounced in specialists in the field of occupational medicine, preventive medicine, dermatology and pediatricians. The difference in the percentage of doctors with BS symptoms may be more than twofold.The data of different studies do not always agree with each other [5; 8; 13], which confirms the significance of the contextual factors mediating the severity of BS in specific conditions and organizations. Studies confirm the negative BS impact on the quality of medical services, the labor capacity of medical workers, the level of staff turnover and their motivation [12; 21; 23].This makes BS not only a psychological, but a systemic, managerial problem.The search for effective prevention programs and reducing burnout among medical workers is becoming extremely urgent. To date, a number of programs have been proposed to counter BS manifestations, aimed at both the individual and the environment organization. Stress management programs. Specially organized courses for medical personnel can use various techniques for reducing stress, such as relaxation, mindfulness-based stress reduction (MBSR) and other types of cognitive-behavioral therapy.Stress reduction programs can be short- and long-term. Some studies confirm the effectiveness of such practices, especially in the group format [9; 19], but their long-term effectiveness remains controversial . Balint sessions. This is a kind of group seminars where experts discuss clinical cases, focusing on the emotional content of the relationship between the doctor and the patient.There is evidence that such a form of professional interaction can reduce burnout and increase job satisfaction , although data on their effectiveness is also limited. Physical exercises. A number of studies have shown a positive effect of physical exercises and aerobic exercises in the workplace as well as healthy lifestyle on the decline of BS . Creative therapy. The combination of relaxation, music and artistic creativity in the course of weekly group sessions was used in a number of experiments to reduce stress among medical workers, but it showed conflicting results: although participants noted a positive effect from classes, the results of diagnostic tests for BS did not show statistical differences with the control group . Changes in the workplace. An alternative strategy for reducing BS is not directed at the health workers themselves, but on their working environment. Organizational measures can include changing the working schedule, efforts to improve the welfare of doctors as well as internal communication and social support [16; 22]. Currently used programs aimed at preventing and reducing burnout in medical workers, show possible approaches to solving this problem. At the same time, it should be noted that the long-term effectiveness of these approaches remains controversial.A recent systematic review conducted by the Cochrane working group on the basis of an analysis of 58 studies of programs to counteract stress and emotional burnout in healthcare workers has shown insufficiency of data indicating their unconditional effectiveness . Thus, a long-term positive effect of cognitive-behavioral therapy programs (more than 6 months) was revealed in 2 studies, a medium-term effect (1 month) – in seven studies, and a lack of a clear effect in the medium-term perspective – in six studies.Physical relaxation programs (massage, etc.) demonstrated long-term effectiveness in 6 cases out of 12, mental relaxation (meditation, etc.) – in 1 case out of 7.As for organizational measures examined, a positive effect was observed only in the case of a change in the working schedule. In the domestic practice there are no systematic studies that make it possible to evaluate the effectiveness of certain approaches to reducing BS in medical workers.A number of publications propose general measures aimed at the prevention of BS, such as “maintaining corporate culture” or “recognizing the results of work” , but without any specification, rationale or mechanisms for assessing effectiveness.The search for effective approaches to BS prevention within the framework of evidence-based medicine requires the development of recommendations based on empirical evidence that confirms the effectiveness of the methods used, as well as the mechanism by which a positive effect is achieved. Thus, in a number of works of domestic and foreign specialists, the role of self-regulation mechanisms in countering BS is investigated [3; 4; 10; 11].It has been demonstrated that doctors who are less aware of their emotional states and do not regulate their negative emotions in proper way are more prone to symptoms of burnout .Self-regulation is an integral part of a number of BS prevention programs based on relaxation and cognitive-behavioral therapy.It is aimed at controlling breathing, reducing muscle tension and reflexive perception of physiological processes.Training the skills of self-regulation, in particular, within the framework of physical and mental relaxation programs as well as MBSR programs increases the possibility of a targeted impact on the stress reaction of the organism, providing timely adaptation and preventing the psychosomatic effects of hyper reaction on stress . Nevertheless, the understanding of psychophysiological mechanisms underlying BS and possible methods of countering it is not the solution to the problem. The development of self-regulation skills requires targeted efforts within the framework of relevant programs.Taking into account the diversity of BS manifestations, the variety of factors affecting the severity of symptoms, the significant differences between different categories of medical workers and the ambiguity of data related to the effectiveness of prevention and therapy programs for burnout, it is currently impossible to give unequivocal recommendation on using those or other approaches. – evaluation of these programs effectiveness, taking into account the specifics of the professional group of medical workers and the search for effective combinations of measures, including elements of cognitive behavioral therapy, organizational changes and other approaches. Given the wide prevalence of BS and its proven negative impact on the quality of health services and the effectiveness of health institutions, as well as the well-being and quality of life of health workers themselves, it seems necessary to develop and implement a program aimed at addressing these tasks at the level of the Ministry of Health of the Russian Federation. Brooks D. et al. Creative approaches for reducing burnout in medical personnel // The Arts in Psychotherapy. 2010. P.255-263. Brotheridge C.M. and Grandey A.A. Emotional labor and burnout: Comparing two perspectives of “People Work” // Journal of Vocational Behavior. 2002. Vol. 60. P.17-39. 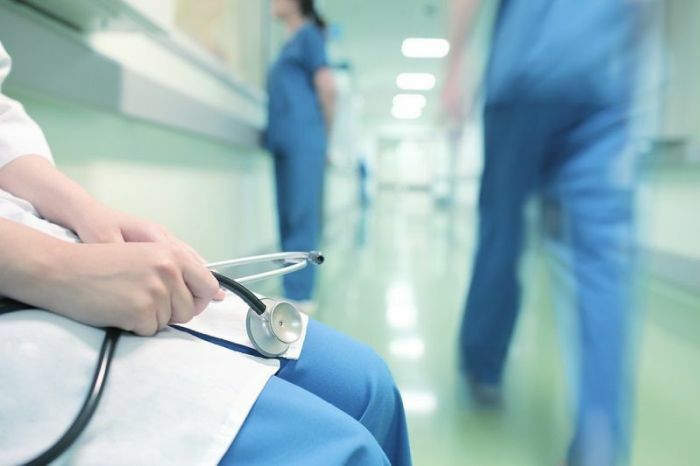 Chou L.-P., Li C.-Y., Hu S.C. Job stress and burnout in hospital employees: comparisons of different medical professions in a regional hospital in Taiwan // BMJ Open. 2014. Vol. 4. e004185. Duchemin A.-M. et al. A small randomized pilot study of a workplace mindfulness-based intervention for surgical intensive care unit personnel: Effects on salivary α-Amylase levels // Journal of Occupational and Environmental Medicine. 2015. Vol.57. P.393-399. Duru E., Duru S., Balkis M. Analysis of relationships among burnout, academic performance, and self-regulation // Educational Sciences: Theory & Practice. 2014. Vol.14. P.1274-1284. Gleichgerrcht E. and Decety J. Empathy in clinical practice: How individual dispositions, gender, and experience moderate empathic concern, burnout, and emotional distress in physicians // PLoS One. 2013. Vol.8: e61526. Glise K. et al. Self-reported exhaustion: a possible indicator of reduced work ability and increased risk of sickness absence among human service workers // International Archives of Occupational and Environmental Health. 2010. Vol.83. P.511-520. Grunfeld E. et al. Cancer care workers in Ontario: prevalence of burnout, job stress and job satisfaction // JAMC. 2000. Vol.163. P.166-169. Kjeldmand D., Holmstrom I. Balint groups as a means to increase job satisfaction and prevent burnout among general practitioners // The Annals of Family Medicine. 2008. Vol. 6. P.138-145. Maslach C., Jackson S.E. The measurement of experienced burnout // Journal of Occupational Behavior. 1986. Vol.2. P.99-113. Romani M. and Ashkar K. Burnout among physicians // Lybian Journal of Medicine. 2014. Vol.9: 23556. Ruotsalainen J.H. et al. Preventing occupational stress in healthcare workers // Cohraine Database of Systematic Reviews. 2015. Art. No CD002892. Shanafelt T.D. et al. Burnout and satisfaction with work-life balance among US physicians relative to the general US population // Archives of Internal Medicine. 2012. Vol.172. P.1377-1385. Sims J. The evaluation of stress management strategies in general practice: an evidence-led approach // British Journal of General Practice. 1997. Vol.47. P.577-582. Soler J.K. et al. Burnout in European family doctors: the EGPRN study // Family Practice. 2008. Vol.25. P.245-265. Tziner A. et al. Work stress and turnover intentions among hospital physicians: The mediating role of burnout and work satisfaction // Journal of Work and Organizational Psychology. 2015. Vol.31. P. 207-213. Viswesvaran C., Sanchez J.I., Fisher J. The role of social support in the process of work stress: A meta-analysis // Journal of Vocational Behaviour. 1999. Vol.54. P.314-334. Weber A. And Jaekel-Reinadr A. Burnout syndrome: a disease of modern society? // Occupational Medicine. 2000. Vol. 50. P.512-517.